Emergency First Aid at Work (EFAW) is the first choice of first aid course for most employers, where workers operate in a ‘Low Hazard’ environment. This course has been developed by our golf experts in tandem with Scottish Golf in St Andrews, to take the standard EFAW course a step further. We’ve added specific content that is especially relevant to the golfing context. Our 7-hour Golf First Aid course is perfect if you work at a golf course. Greenkeepers, hospitality staff, club coaches and all others will all benefit from this course. 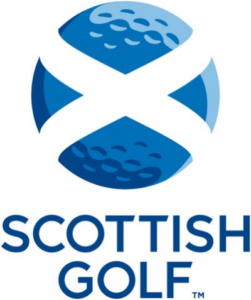 Approved and promoted by Scottish Golf, this course covers basic first aid techniques and skills, and the roles and responsibilities of the first aider, and is usually completed in a single day. Discuss with us what your specific requirements are at the time of booking. *Please note that those working in ‘high hazard’ situations on the course should still complete a 3 day First Aid at Work course if your First Aid Risk Assessment suggests this would be appropriate. “The law applies to every workplace and to the self-employed.” Or anywhere where there is a Duty to Care for workers, clients, visitors etc. Contact us to inquire about running a private Emergency First Aid at Work + Golf course at your venue. We’ll deliver your course at a time and location to suit your club. Our ISO9001 registration, robust Quality Assurance procedure, large team of expert outdoor first aid trainers based across the country, and many years of experience across multiple sectors, make us the best choice for your first aid training requirements. Cost effective, practical courses including extra content that is specifically designed for the needs of Golf clubs.